Mention the initials you need in "notes box" during checkout. 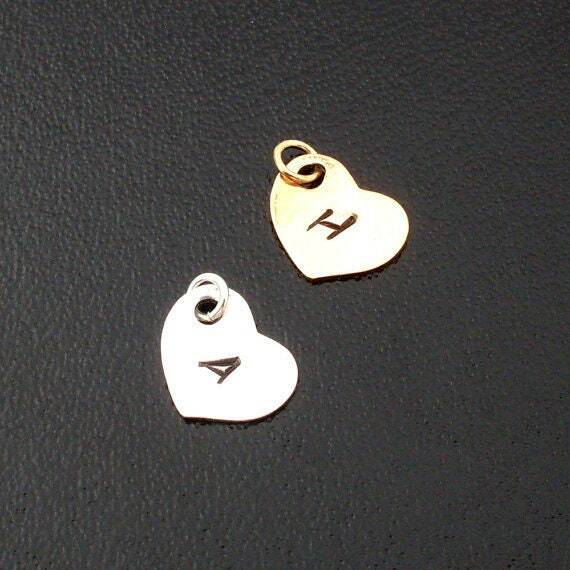 And if you want them on heart charms or discs. 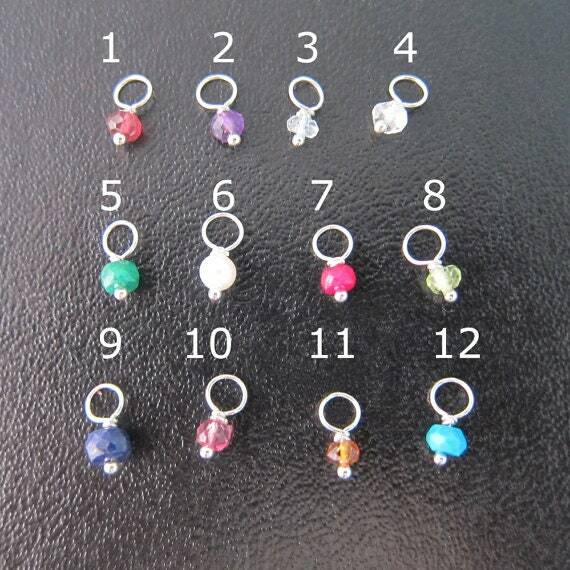 An if birthstones mention the birthstone months. If you don't see the "notes" box you can message your initials & and birthstone choices to me. Select bangle band finish in choice of silver filled or sterling silver. And I will transform this cute elephant charm into a dainty & delicate elephant bracelet for you to wear or gift. 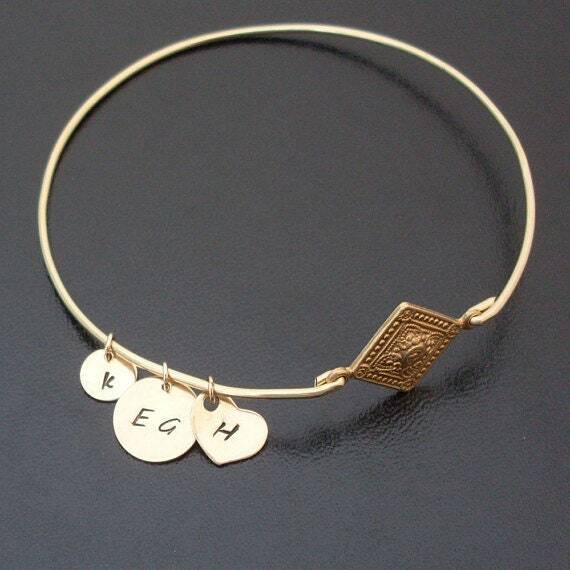 Specify size in "notes" to seller during checkout for your elephant bracelet or message me your size. Custom sized: specify a custom size for your elephant bracelet. 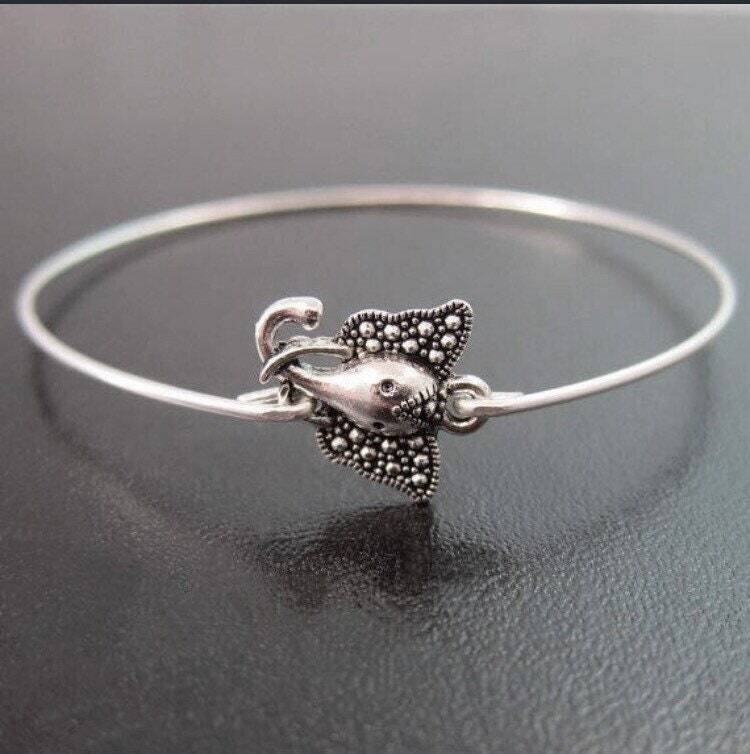 Choose from one of my regular sizes above by measuring one of your favorite bangles, or give me the circumference of the widest part of your hand where the bangle has to be pulled over; then I can size for elephant jewelry bracelet bangle for you. All of my bangles are closed and can’t be opened. 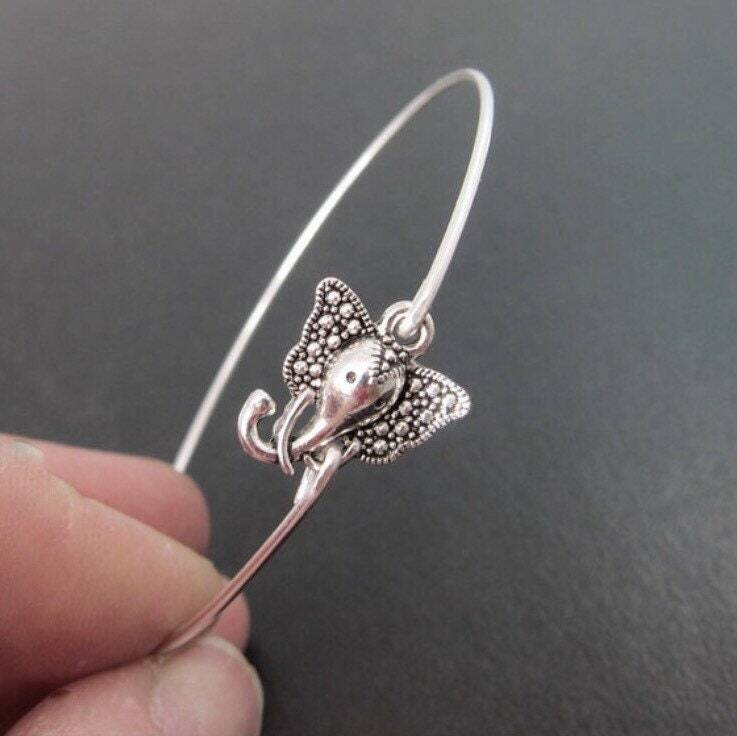 Therefore, this elephant bangle bracelet has to fit over the hand. Believe it or not this elephant charm was originally intended to be made into a necklace, but I realized it could instead be crafted into a bangle bracelet by forming the wire and attaching it through the loop, and the tusk, and crimping the wire to hold into place. 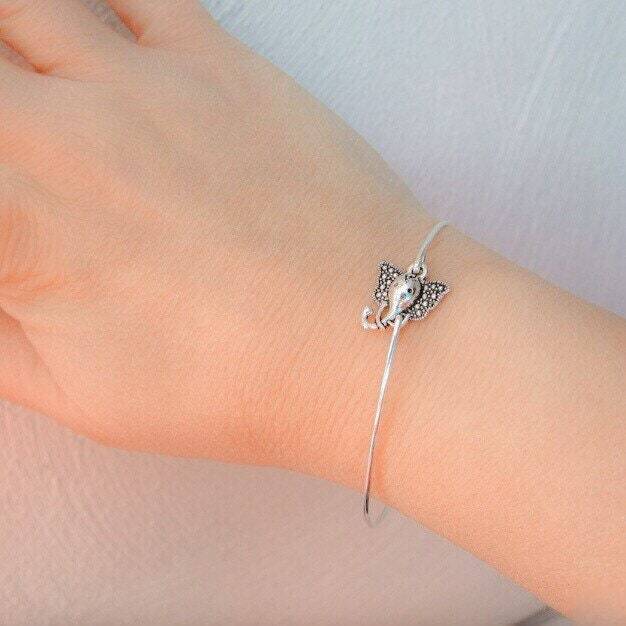 The result was a dainty and delicate elephant bangle for those who don't want heavy jewelry weighing down their arm :) The bangle is cute and tiny, light, thin and delicate by design. It's how I love my bangles. And so many other people also love their bangles to be like this. I have hand crafted over 150,000 bangles in my life. So I must be doing something right. I want my customers to understand what they are purchasing. My bangles are not heavy or thick such that if you are mountain climbing and accidentally whack it against the side of a rock it would show no ill effect. That being said, I would be happy to repair it for you with no repair charge if something like that happened within the first 2 years of your purchase. 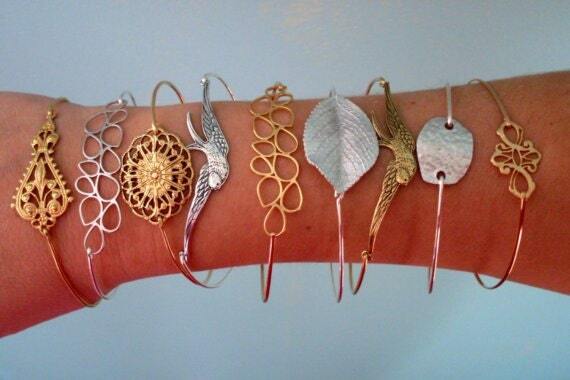 My bangles are designed to be dainty & delicate for fun, easy going, gentle wearing. If you are seeking a solid gold bangle that can be dropped off the Grand Canyon and still be in perfect condition after 200 years of wear, you may find such a bangle for thousands of dollars elsewhere. But this does not mean my bangles are not of good quality. I make my bangles sturdy as can be for such a thin, dainty, and delicate piece. How long can they last? I have bangles that are now approaching 10 years old that I made when I first developed this style of bangle, that I wear all the time. The idea to make an bangle bracelets in this manner was not apparent at the time of my invention. It was a pioneering idea in bangle bracelets, and I claim copyright in my work. If you copy my work, or copy other people who are copying my work, you could face future consequences.